We’re thrilled at the prospect of hosting your next event! Just across the Potomac River from the nation’s capital, Arlington offers meeting attendees and groups incomparable views, rich history and thriving neighborhoods. With more than 40 hotels – all just minutes from Metro – Arlington is conveniently central to businesses and attractions throughout D.C., Maryland and Northern Virginia. You’ll also discover in Arlington a unique combination of national history, local culture and unexpected fun. 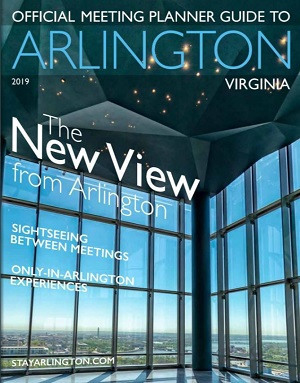 From treasured attractions like the Marine Corps War Memorial (Iwo Jima), Arlington National Cemetery, the Air Force Memorial and the National 9/11 Pentagon Memorial, to our stunning skyline and lively urban villages, Arlington truly has something for everyone. And once your attendees have taken care of business, they can take advantage of first-class shopping, diverse dining and an incredible arts and entertainment scene. Iconic landmarks, monumental views and lively streetscapes. All are yours to discover when you plan a meeting in Arlington during your group’s visit to the capital region.